Many Americans, probably myself included, have taken to the new sport of “Rushing to Judgment”. This of course is when we make a judgment or decision on an event before all the facts are known. Judgement rushing frequently is the result of our own bias with regards to the race, creed, or sexual orientation of the person we are rushing to judge. I.E., he or she must be guilty because he or she is a gay, or black, or white, or a cop, or he or she must be guilty be cause the video kind of looks like they did it. Another way of putting it is that we tend to make judgments based on limited information available at the time when we decide to make the judgment, even if the limited information does not tell the story. Probably this is only human nature. For most citizens this is normal and really not a problem as your opinion and my opinion are only that, opinions that have to influence one way or the other on the outcome of the incident we are judging. But this is not true for every person. Some people because of their status, or job, or position are in a position where their judgments carry more weight and the potential to influence any people, if for no other reason simply because of their position,. People make the assumption, sometimes erroneously, that if a person holds a position of trust or authority they are more likely to know the facts and more likely to only make statements that are truthful and correct. Not True! As was discovered in the recent case of Guilty until Proven Guilty when a University of Cincinnati Police Officer Ray Tensing shot and killed Sam Dubose while on a routine traffic stop. Within a few days, comments were made by Cincinnati Police Chief Jeffrey Blackwell and Cincinnati City Manager Harry Black implying that the body camera footage from the body camera worn by Ray Tensing was not good. Most people would think that the Police Chief and the City manager know what they are talking about. But did they? Blackwell who viewed the video said “The video is not good, I think the city manager has said that also publicly. I’ll leave it there.” That was an excellent job of the Police Chief throwing the City manager under the bus. None the less, the comment was negative and most likely had some impact on the public’s expectation of what the video footage would show. Black said It’s not a good situation, it’s a tragic situation, someone has died that did not necessarily need to die.” In those few words Harry Black became the judge and the jury. That statement would certainly have a major impact on the public’s perception of the incident, even before the public, and apparently Harry Black, were fully informed about what had happened. Harry Black made his decision, not on what he knew and not on what he saw because he said that he had not seen the footage but it was described to him by someone who had. That is hearsay in the purest sense of the term and that was a rush to judgment if I ever heard one. Comments by Blackwell and Black were uncalled for , and were irresponsible by two people we expect to be fair and impartial. They must be aware that they are in a position to influence many and need to temper their words with caution. Something neither seems capable of doing. There words pale in comparison, however, with what came out of the mouth of Joe Deters, Hamilton County Prosecutors. 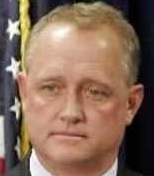 Joe Deters, when releasing the results of the Grand Jury probe into the incident went above and beyond what is expected of a prosecutor informing the public of such a probe. As I see it, the prosecutor has a responsibility to tell the public of the Grand Jury’s findings, and nothing more. His comments were vitriolic and hateful and most probably prejudicial to any future jury member who might hear the case. Joe Deters, of all people, should know that a presumption of innocence is a basic right guaranteed by the Bill of Rights. He should be protecting the rights of the accused as part of his sworn duty. Joe Deters should be trying the case in a court of law, not using the powers of a bully pulpit to influence the public and potential jurors. I can not mention Joe Deters without commenting on the statements he made about the “chicken crap” traffic stop or the University of Cincinnati Police Department. In both cases, his comments were ill spoken and not valid. Minor traffic violations are an excellent reason to make a probable cause stop, allowing the officer to do their jobs, legally and professionally. No where in the Ohio Revised Code is there a foot note to inform law enforcement which laws are chicken crap and should be ignored and which laws are valid and should be enforced. Until they do, it is the sworn duty of a police officer to enforce violations of the law. The University of Cincinnati Police Department is a professional police agency and its members are professional and highly trained police officers. The fact that they are a campus police department, and not a city police department, does not negate their professionalism and effectiveness. Joe Deters owes an apology to each member of this Department. So, as you can see, judgment rushing seems to be a sport practiced not only by the common folk but also by the paid professionals we, yes we, hired to guard us against such unfair practices. Because of the irresponsible comments made by these public officials, the chances of Ray tensing receiving a fair trial have been significantly lessened. We, who hired them, should now seek proper and legal methods to remove them from their office and replace them with people who will act responsibly and follow the law. And when I say we, I am, of course, referring to We the People. Feel free to comment, like, or share, agree or disagree with this post. Please consider subscribing. Options to like and subscribe can be found elsewhere on the page. Thank you for reading the Townehouse Phoenix. I agree the comments of the public figures were irresponsible…but if they don’t say anything, then they are hounded for not acting quickly enough. Or people accuse them of hiding something (rushing to judgment again!). They are in a tough position.